Cryptocurrency Mining is Destroying the Environment - Fact or Myth? Proof-of-work mining has environmental impacts (often phrased as "Bitcoin wastes lots of energy and harms the environment"). In simple terms, any system that uses electricity has negative environmental impacts, for example the use of electricity contributes to green house gas emissions (electricity accounts for about 25% of emissions, and Bitcoin mining for about .01% of electricity use for perspective). In other words, proof-of-work mining takes a lot of computing power (“the why” is explained below), thus uses a lot of electricity, and therefore there is an environmental cost related to the amount of electricity used (and less so, the environmental cost of building and disposing of the hardware). However, the same can be said for maintaining bank credit, printing paper dollars, mining gold, etc. Essentially all value stores and mediums of exchange have an environmental impact, and Bitcoin and other cryptocurrencies that use proof-of-work are no different (which is hardly a selling point). Luckily, like with the software and hardware needed to support bank credit (and to some extent other systems required to support other currency and value store types), the way cryptocurrency mining works is not set in stone. Bank credit and cryptocurrency are both largely software and hardware based. Software can be updated and hardware can be made more efficient. We can reduce the impact of mining gold, we can reduce the impact of the world’s digital banking system, we can upgrade PayPal, and we can reduce the impact of mining cryptocurrency. The problems and solutions for each type have parallels, just like the benefits of having each type have parallels as well. That all said, to understand the impact of proof-of-work specifically, we have to know what it is. FACT: If mining energy usage keeps increasing at the current rate and nothing else changes (for example if China keeps mining with coal-based energy), then eventually “Bitcoin mining alone could cause global warming” (never mind crypto mining in general). However, since that premise relies on a ton of ifs and some wild speculation (sort of like the “if the population never stops growing we will run out of food argument”). In short then, for too many reasons to list, but including the reality that technology will evolve as mining popularity grows, “No, Bitcoin won’t destroy our climate by [insert date here].” Bitcoin mining currently uses about 0.1% of the world’s electricity, it has a long way to go before it destroys the planet. TIP: “Mining” secures Bitcoin transaction data on the Bitcoin Blockchain using computing power provided by users from around the globe. It takes a lot of computing power to be competitive in the mining space. Check out the video below to get an idea of why Bitcoin mining has a computing power problem. A look inside America’s largest Bitcoin mining operation. TIP: The fact that proof-of-work mining systems are wasteful has been long known, however the idea was brought to popular attention via a study done by Cambridge Centre for Alternative Finance. See: Global Cryptcorurency Benchmarking Study. In simple terms, proof-of-work mining is software that solves cryptographic puzzles. These puzzles secure transactions to a digital ledger called a blockchain. Essentially anyone who owns a cryptocurrency that uses proof-of-work can run the software and try to solve these puzzles. However, the more transactions that are done, and the more computing power used, the more computing power that is needed. As, these systems change their difficulty based on how quickly puzzles can be solved. This creates a sort of loop in which more and more power is needed. The need for more and more power and better hardware is what is causing the negative impact. Bitcoin – Proof of work. Learn more about Proof-of-Work from KhanAcademy.org. TIP: The fact that computers around the world are running a full copy of the digital ledger (the blockchain) adds to the electricity consumed by Bitcoin and other cryptocurrencies. FACT: The work it takes to crack the puzzle is the work referred to in proof-of-work. This work helps give value to the currency, secures the ledger, organizes the ledger, and results in newly coins being created. Its the backbone of Bitcoin’s blockchain (and other like systems). What Are There Solutions For the Proof-of-Work Problem? Essentially the rather wasteful proof-of-work system has been a necessary evil since day 1. The fact that it is wasteful has not been lost on anyone. There has always been this idea that a better system exists. Sure, proof-of-work solves a ton of problems and can be justified away by pointing to other value stores and electronic systems or by pointing to all the value it creates (by securing the ledger and sustaining cryptocurrency systems)… but those justifications magically mean everyone can rest on their laurels. Of course, people haven’t been resting. Solar energy has been one theoretical solution on the table. Meanwhile, other systems that have been played with include proof-of-stake (where the work done by computers is replaced by proving ownership of a certain amount of a given coin) and systems like Ripple, IOTA, and Stellar (which don’t use traditional blockchains). However, despite the above attempts, not perfect solution has been found yet. That said, Bitcoin like other cryptocurrencies is software, so a solution is theoretically possible (and really only requires a software update). We just aren’t there yet. Proof of Work vs. Proof of Stake and why I feel Proof of Stake is superior. 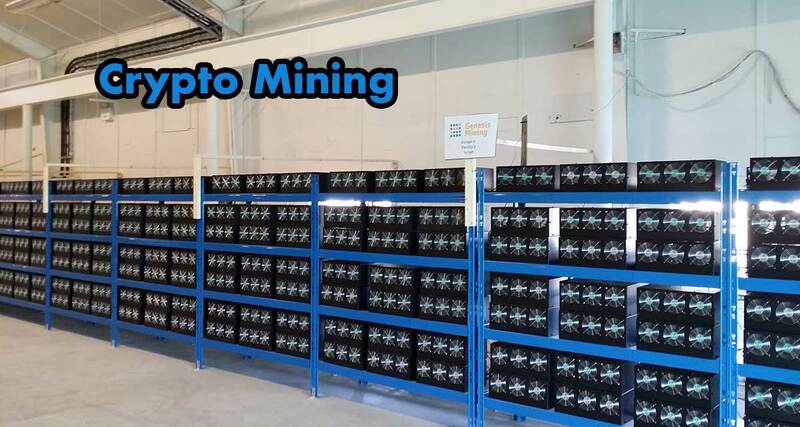 Proof-of-work mining has a negative environmental impact due to its use of electricity and computer hardware required to solve the cryptographic puzzles that secure the digital ledgers associated with cryptocurrencies. Other less wasteful mining system are being explored, this being one of many potential solutions to the problem. Bitcoin Mining has a Masive Carbon Footprint. Wired.com. POW is garbage. A complete waste of energy. EOS & Reddcoin has the best way to secure transactions. EOS launching its platform in June 2018. Reddcoin has been operational for several years now. EOS = DPoS = Delegated Proof of Stake = Invented by Daniel Larimer (Legendary Programer & Blockchain Genius), Delegated Proof-of-Stake (DPoS) is an alternative consensus mechanism that requires coin holders to vote for “delegates”, who are then responsible for validating transactions and maintaining the blockchain. DPoS is an alternative to the more commonly known, Proof-of-Stake (PoS) model which requires miners to put up a stake in a cryptocurrency in-order for them to be able to validate transactions. This article is garbage. Yes normal bank transactions use resources, and bitcoin uses resources, that doesn’t mean they are the same. The resources used by crypto are several orders of magnitude beyond traditional transactions and don’t provide any benefit other then to people gambling on this virtual commodity. FFS just go to the casino. What does all the energy used to settle leveraged contracts on other assets do? I mean, with all due respect, we can fling the casino and energy usage comments around all day when talking about any of this. I can use crypto as a money, many cryptos have utility. There is an argument against mining, I don’t disagree. But I don’t think we can dismiss crypto fully and give a free pass to all traditional finance and the related markets. Both take energy to process and both facilitate a form of gambling and a means of financial transaction. I think a lot of the hate is purely bias against crypto.